At Our Lady’s, we work in close partnership with our parents to support the children's learning. As such, it is important for us to gain the views and opinions of parents about different aspects of school life. 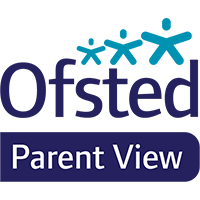 This can be done by using the Ofsted's 'Parent View' website ~ click the image below to visit. Parents can also share their compliments, comments or concerns any time by contacting the school or following our Complaints Policy.